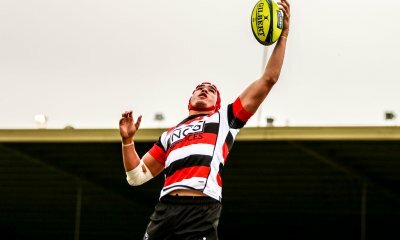 NRC leaders the Melbourne rising faced a strong Perth Spirit team, determined to make up for last week’s loss. The Rising entered the stadium to the sound of rock music, in a puff of pink smoke. Much was expected of the league leaders after last week’s demolition of Brisbane City, but the early exchanges were in Perth’s favour. The Spirit’s kick off was fielded deep by Melbourne Captain Nick Strizaker who had the ball turned over. While winning it back the Rising found it hard to get out of their own half due to good play by the visitors. After ten minutes Perth got a roll on and put 14 phases on deep in Rising territory. 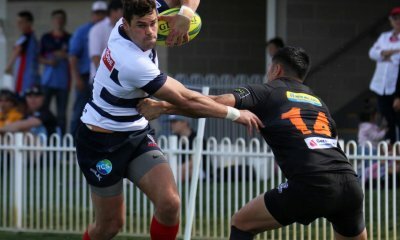 Unable to legally repel, the hosts infringed and Perth number 8 Alex Rovira opened the scoring from the ensuing scrum after Melbourne pushed early from right in front of the sticks. A converted try down the home team seemed to spring to life. Immediately they got the ball down the other end through Jack Debreczeni’s impressive boot and good forward pressure secured it. After a couple of close range scrums Lopeti Timani went over after a neat short ball from Stirzaker. Debreczeni made it eight all with the conversion with 25 minutes gone. Almost immediately the Rising were in again, this time it was a great move through the hands with Veainu finishing a great offload from full back Placid, who was unfortunately injured in the process. Two minutes later Joe Kamana scored the third try for Melbourne from a well weighted Debreczeni grubber and it looked like we might be in for a landslide. Placid’s replacement Tom English fresh off his four try haul last week was proving a handful. But he wasn’t the only one, only some poor handling from the hosts saved the Spirit from going further behind. Rising open side McMahon was especially busy but had the ignominy of ending the half by knocking on with the try line at his mercy. So it was 18-8 to the hosts at half time, the most telling statistic being the Spirit’s 25 missed tackles to the Rising’s 6. The second half started scrappily with neither team making many inroads, this time though the Rising had the territory. 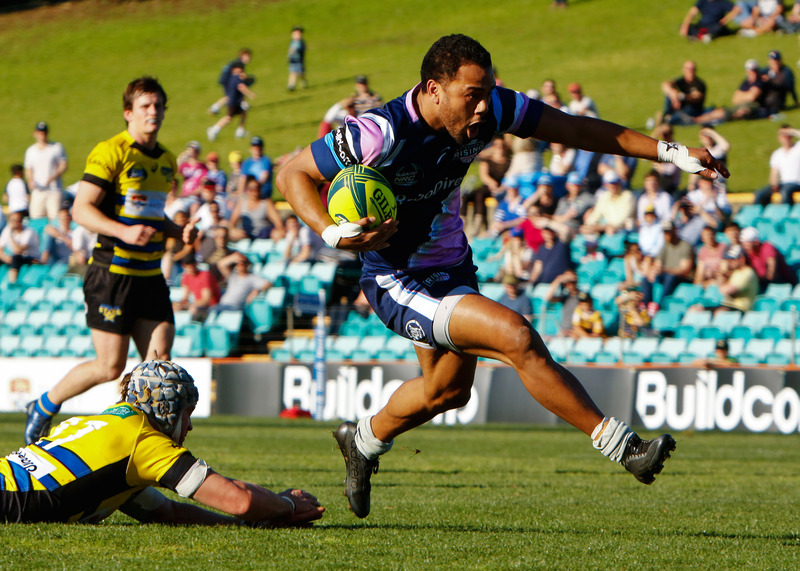 Perth rode their luck and with a booming clearing kick standing up Melbourne’s full back, Perth winger Brad Lacey snatched the ball away and ran thirty metres untouched to put Perth back in touch. The successful conversion put them within two, 18-16 with 49 minutes gone. The game was to turn again rapidly though, with barely a minute more gone Perth lock Brent Murphy was given a yellow card for a lifting tackle which was technically correct, if a little unfortunate for the Spirit. From here Melbourne seemed to flick the switch again. A push over try saw Timani get his second of the night. Neville then went straight through after some good build up play from McMahon. By now the score was 31-16 and it would have been worse if Melbourne could have converted better. The best try of the night came from Veainu. His second was a first phase move that saw Debreczeni grubber through to the winger, a deft inside offload put Veainu into space with only the full back to beat. All night he was beating defenders with his step and this was no different. Dotting down untouched, the move beginning in the oppositions half. Perth refused to give up and their relentless attack resulted in Melbourne substitute Pom Simona getting a yellow for hands in the ruck. But they still couldn’t capitalise, in fact a tight head to the Rising saw Burgess sneak a try up the other end. With time running out Perth stuck to their guns managing what was ultimately a consolation try through Zack Holmes. The final score 44-24, Melbourne once again outclassing an opponent and still unbeaten on top of the NRC ladder. After getting back to within two points with half an hour to play, Perth lock Brent Murphy got sin binned for a somewhat innocuous looking lifting tackle. Telusa Veainu, amazing stepping. Got two tries including the try of the NRC (so far) and was consistently beating defenders all night. English was great off the bench. Debreczeni kicked very well in general play. The whole tight five for the Rising, the scrum dominated whenever they remembered not to push early, special mention to Toby Smith who probably did the most work of anyone. Well done Rising, but how come if every team has 16 Super Rugby players, the Rising are the only one putting out a Super Rugby capable team? Firstly, if there are, as you say, 16 SR players in each team, and there are only five SR teams and the best (presumably) of their players are in the Wallabies squad, then by mathematical definition, the talent is spread far more thinly. Secondly, this comp is, by definition, the next level below SR. It stands to reason that the top teams in this comp would be at, or close to, SR level, while the lesser teams wouldn’t be. Yet you somehow seem to be expecting more of the 9 teams in the lower comp with a lesser player pool to be as good. Not sure what your point is, if you have any at all. Seems to be a criticism just for the sake of it. 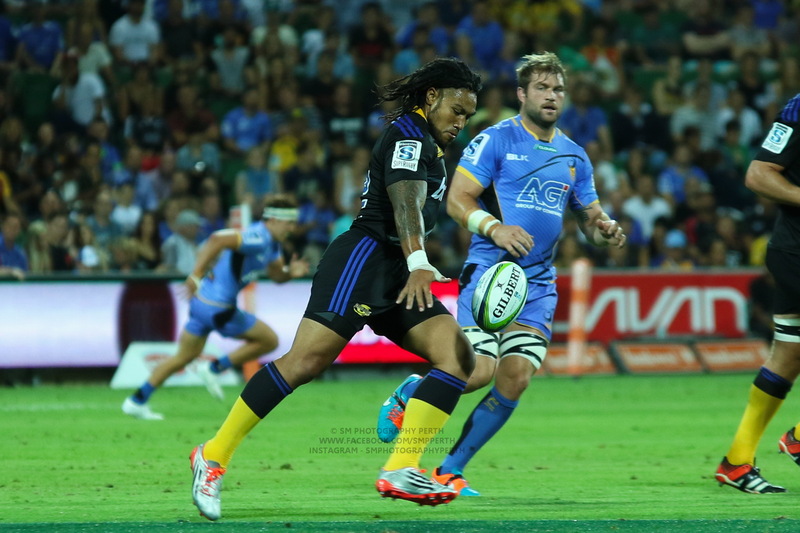 The more players get exposure at this level the deeper the pool of super rugby level players. So while a few teams may get whipped it’s ultimately good for Australian rugby. Next season and the seasons to come we will see things tighten up as more people rise to the standard while also show casing some players that are already there but haven’t had a chance yet. 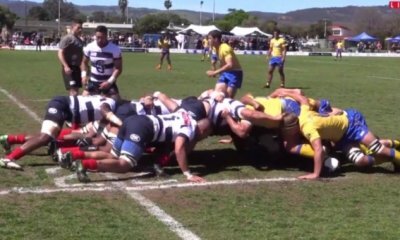 Some of the teams are using their super rugby players differently. Perth, for example, seem to be sending the younger/non super players on tour to give them experience and exposure, while more of the super players play when the games are at home. The Rising seem to have a great number of S15 players, and use them very well to their advantage, as we have seen in the past 2 weeks. It will be very interesting to see how the comp develops over the coming years as more new players come through. Different teams seem to be adopting different strategies as you say. The Rising strategy of basically running a S15 team and bringing up a few players at a time only is probably the best for getting S15 ready players, especially if you take into account that a number of the “S15″ players may themselves not be really at S15 standard. But the converse strategy of having a few S15 players anchor a strong club team increases exposure far more. So happy to see a good attendance for the first year. If 2000 people are already showing up, on a Thursday, in Melbourne, then this comp just might have a future. Also happy to see both leading teams coming from slightly unexpected places, in Melbourne and NSW country. Thanks for the continued coverage. Not having foxtel, I appreciate it! Agreed, crowd was decent, and they clearly got them to sit in one area. I was surprised they used AAMI Park, given it is so bog, and they didn’t use a smaller ground that wouldn’t look so empty. But if their venue contract is Ok and they aren’t paying too much …. The crowds for games seem to be averaging about 1500-3000, which I think is decent for a comp with no marketing. When they start getting weekend arvo games especially in Sydney they could get a few thousand more. The Rams v Stars game this weekend, Rays v Rams Sunday arvo game, and Stars v Eagles game October Long Weekend Monday arvo could go alright. Especially with some awareness the comp is actually on growing. I am amazed at the number of rugby heads I know that aren’t actually aware of the comp. Plus another year or 2 and it will build. The ARC never got that chance in 2007. Plus look at say the A League in that regard. No…Give Carter a rest before he hurts himself. It’s called having forward dominance. It would be good to see at the wallabies. Maybe this weekend. Yeah I got it. I just think a lot of it is getting consistent front foot ball which means more line breaks and less chances for the opposition to pressure the ball in the ruck. Veainu was amazing. He doesn’t step – he seems to have a mutant ‘blink’ superpower – able to teleport short distances. Definitely one to watch. 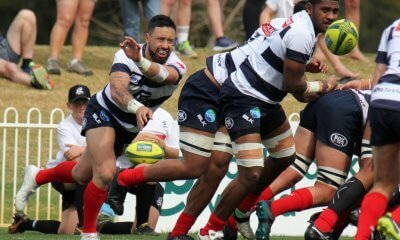 I saw a bit of Veainu in NZ and was expecting this stuff during the Rebels season. Instead he was pretty quiet in the limited gametime he had, so good to see the real Veainu show his skills. Hope he can translate the same form into super rugby 2015.